Proof Research Carbon Fiber Button Rifled AR 15 .223 Wylde 1-8 Twist .750 Mid 16"
This barrel is chambered in .223 Wylde in a 1-8 Twist. The gas length is Mid and is for the .750 gas block. It is 16" in length. 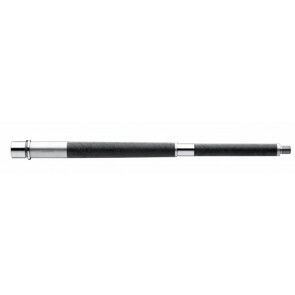 This is a Proof Research Carbon Fiber Sendero in a .308 1-8 twist 26". It has a 1.25" breech. This is a Proof Research Carbon Fiber AR 15 barrel in 5.56 Nato 1-7 Twist. It is 20" in length. Proof Research Carbon Fiber Button Rifled AR 15 .223 Wylde 1-8 Twist .750 Rifle 18"
This barrel is chambered in .223 Wylde in a 1-8 Twist. The gas length is Rifle and is for the .750 gas block. It is 18" in length.